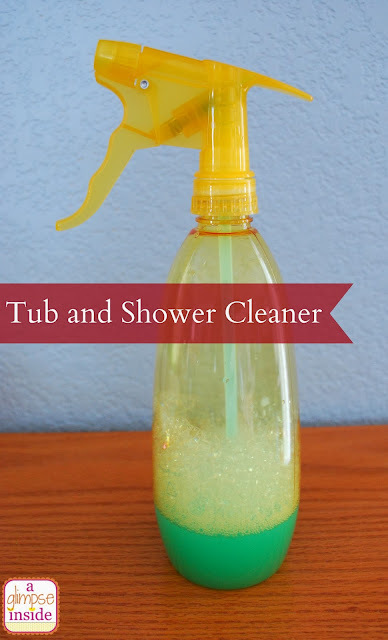 For this month's Pinterest Challenge Party I decided to try something out that I've been wanting to try forever now- making my own tub and shower cleaner. The original pin came from The Craft Patch if you'd like to check it out. All you need is some White Vinegar and Dawn Dish Soap. The image I pinned said to heat up the vinegar in the microwave for 90 secs. and then add the soap but microwaving it isn't necessary. It also calls for equals parts of each but I didn't put the same amount of Dawn in it because I had a friend who tried it say she had a ton of bubbles so I used a little less. I wanted to try it on the floor of our shower. I actually washed the floor with a commercial cleanser first and as you can see, it didn't do anything. I mixed up this cleanser and sprayed it on. It actually said to leave it for an hour before wiping but I didn't let it sit that long, not long at all actually, and it still worked pretty good. Next time, I will let it sit the whole time to see if it does any better. 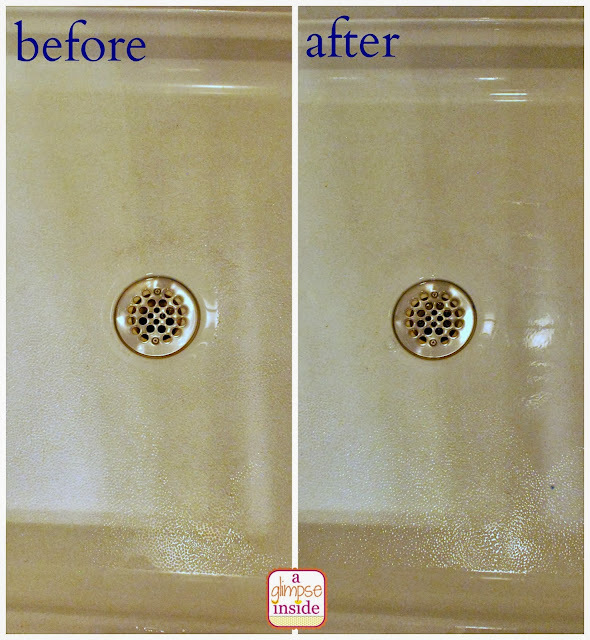 I also used it on our shower door and it worked great at removing the soap scum. I only made a small amount of this to test it out but I will definitely make a bigger batch next time. Hopefully, it will save us some money in the long run as well from buying those expensive cleansers. I was wondering the proper cleaner for my tub tonight! Thanks! I use that for my shower cleaner and it works fantastic. is it me? i really don't see a difference??? My Memories Suite Software... For FREE!! !